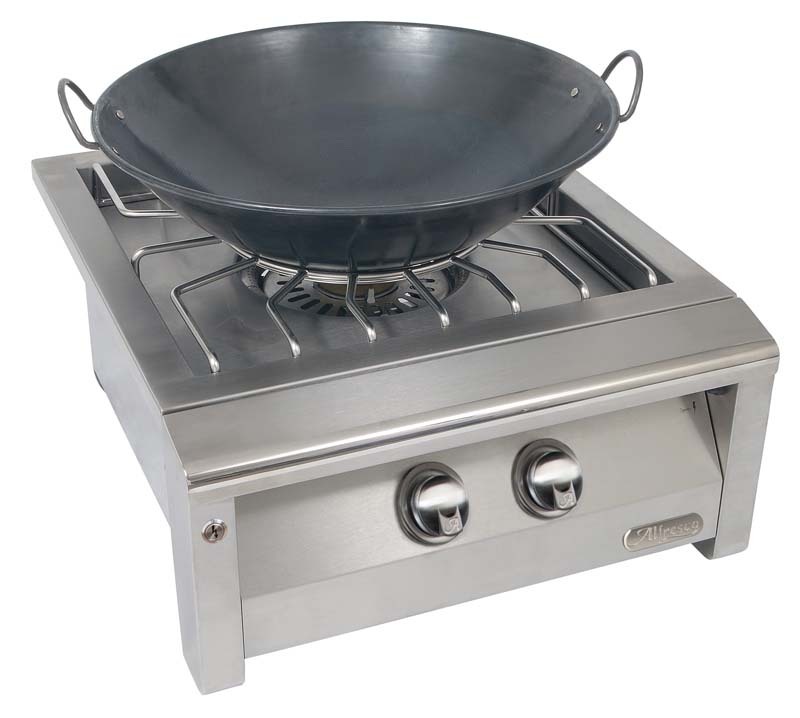 The Commercial Griddle Alfresco Grills is a specially designed cookware solution that is versatile and can handle whatever culinary challenge you choose to take on. 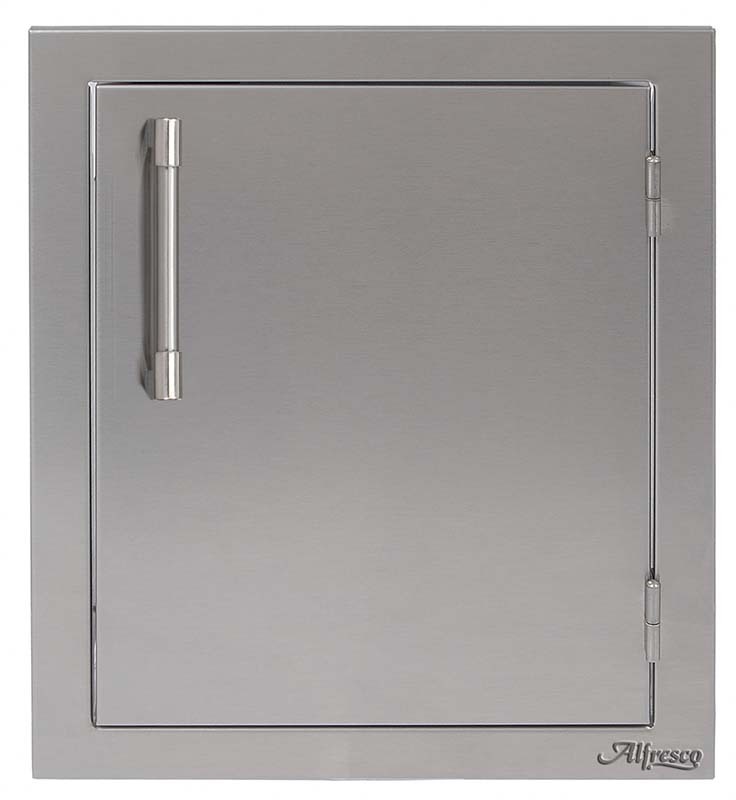 Constructed out of 304 grade stainless steel, just like the Alfresco Grills which it can be mounted on. 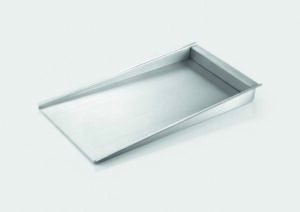 Since the griddle is made of stainless steel, it is easy to clean and will retain a bright, polished appearance even after many uses. Whether youve got plenty of meat to cook or a multi-use station for preparing fish filets, hamburger patties, pancakes, crepes or any other high-stick meal, it helps to have the slick surface of this griddle to keep accidents and messiness to a minimum. 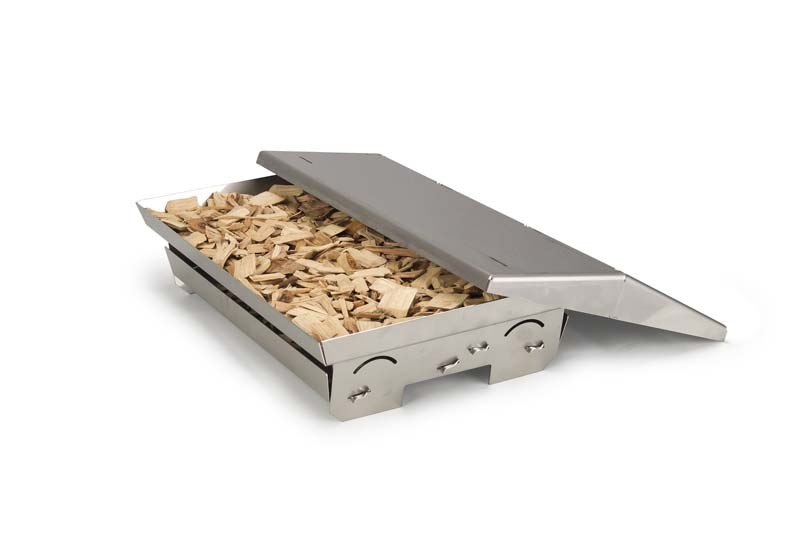 This griddle gives you a platform ready for searing or frying your favorite fish, meat and noodle dishes! 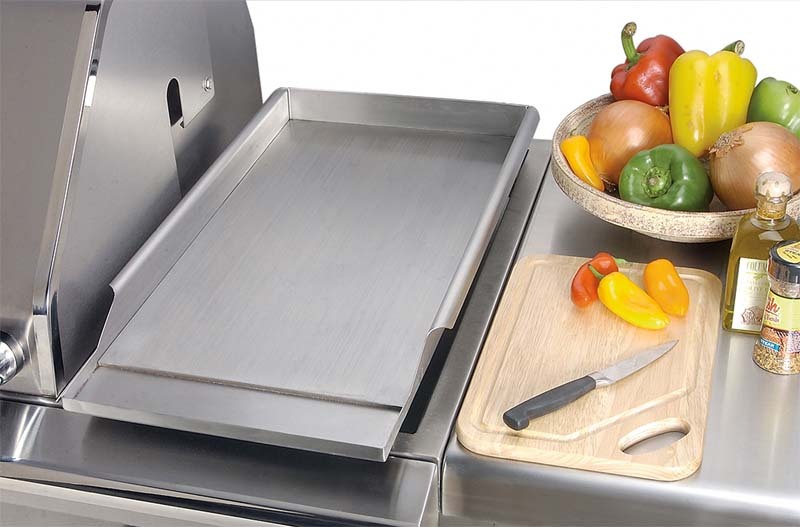 The front of the Griddle for Grill is fashioned into a specialized drip tray to help you gather and discard any excess oil or food scraps.